Author: Aemilius Set In . . . Description: Delve deep into the minds of a CIA agent avenging the death of his MI6 partner, the serial killer that did it, and the serial killer's son, who's out to make a killing of his own to set his father up for failure. 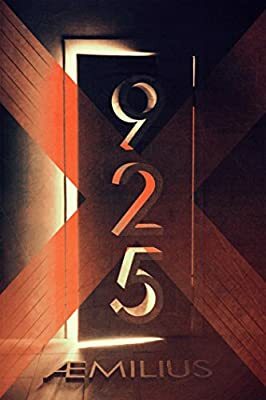 Highly suspenseful and thrilling, 925 resonates as an at times psychotic tale of revenge. Gregory Belittled breaks from his nine-to-five life by making a fortune coming up with an anti-skimming mechanism for the Bank of Las Vegas and uses it to buy everything he needs to take his father down. A new writing style no one has used before? Try this book. It may not stand out at first, but when the book progresses through its chapters, you'll notice things are slightly different. The use of different tenses to slow the story down or speed it up. The perspective changing mid-section to someone else that suddenly drives the action. It can all be done and it has all been done -- now!